Key Difference: LED or Light-emitting Diode light refers to the light which is generated by using a semiconductor by applying the mechanism of solid-state electronics. On the other hand, light from CFL or Compact Fluorescent Lamps is generated by using a gas and a small amount of mercury vapor. The excited vapor results in emission of visible light after getting in contact with the fluorescent coating. CFLs are less energy efficient than LEDs. However, CFLs are less costly than LEDs. LED stands for Light-emitting Diode. LED bulbs are known for being more energy efficient than CFL. These diodes are basically semiconductors, and light is produced by LED when electrons move within the semiconductor. The semiconductor chip consists of two layers or regions which are separated by a junction. These layers are p region containing positive electric charges and n region containing negative electric charges. When the sufficient voltage is provided to this semiconductor chip, then electrons start to flow between these p and n regions. Supply of sufficient voltages allow the flow of electrons in only one direction. The electrons of n region moves towards electrons in p regions due to force of attraction between opposite charges. After reaching very close to the positive charge in p region, the two charges recombine changing the electrical potential energy into electromagnetic energy, which is emitted in the form of a photon of light. 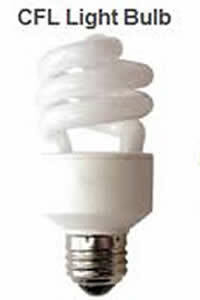 CFL stands for Compact Fluorescent Lamps. 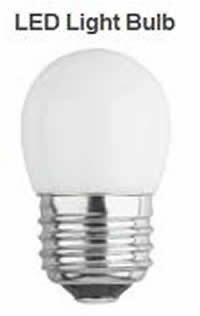 They have been used extensively now and have emerged as a replacement of the incandescent bulbs. They are known for being energy efficient and for long lifespan. It mainly consists of a glass tube which has a gas inside it. This gas has some trace amount of mercury too. When the voltage is applied, the current starts flowing and excites mercury molecules which are present the gas. The gas starts emitting ultraviolet light. When this light touches the glass tube which has a fluorescent coating, the bulb starts to glow. Thus, both use different mechanisms for generating light. LEDs have a greater lifespan than CFLs. LEDs are also more energy efficient than CFL. Another benefit of using LED is that it does not containing toxic mercury like CFL’s, which can cause damage to health as well as environment. LEDs work just fine at low temperature, whereas there is a possibility that CFLs may not work properly at low temperatures. LEDs take no time to turn on, whereas CFLs require some time for warming up. In context to durability also, CFL’s glass is more prone to jarring and bumping. Both are better options than their incandescent counterparts in context to energy efficiency. LEDs are more expensive than CFLs. The manufacturing technology for LEDs is improving and thus the cost is also going down. The size of LED is smaller, and therefore it is used in applications where a small light source is required. LEDs bulbs are used in groups to overcome this problem.